The lights are dim, and the gentle sound of a bubbling brook fills the room. The urge to sit down in the massage chair is strong, as is the desire to let your fingers attack panels of bubble wrap on the nearby wall. Everything about the room’s contents and ambiance screams “relax,” which is the entire point, says Lori Musser, coordinator of Student Disability Services. 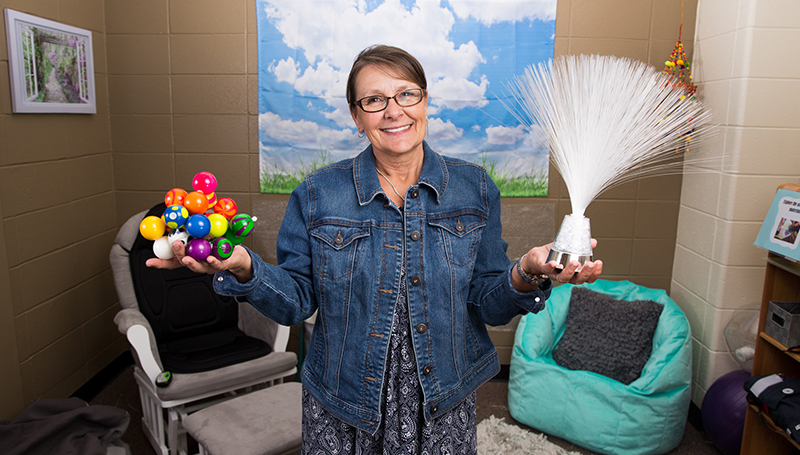 Located in the Student Success Center in Hearnes Hall, the new sensory room provides a therapeutic way for visitors to de-stress and enjoy activities that stimulate all of the senses. 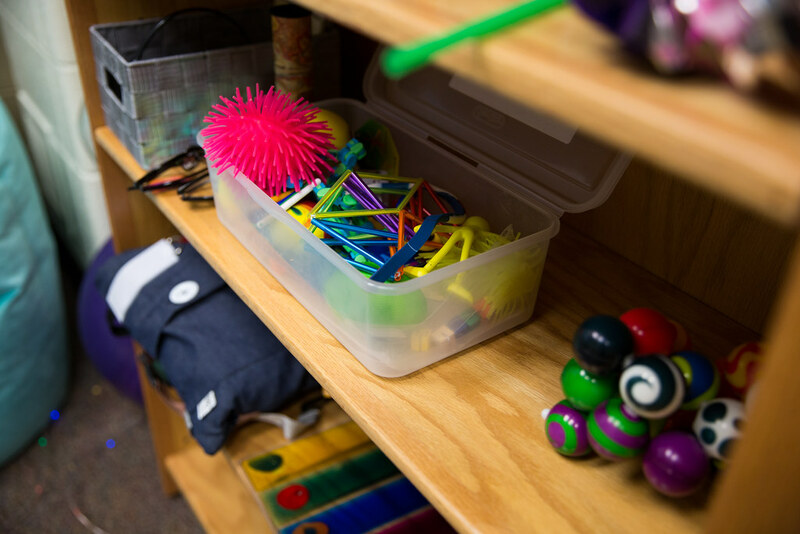 An empty office was available in the Student Success Center, and it was quickly stocked with items that make the sensory room so engaging. There’s a space to enjoy coloring, music, a weighted blanket, music, a sand tray, and a “plant” made of fiber optic strands to run your hands through. The room was completed about two weeks ago. Signage was put up in Hearnes Hall and students have already started taking advantage of the room. But the sensory room isn’t just for students. If faculty or staff members are in need of a place to de-stress, the sensory room is open to all.